Weston & Sampson assisted the Boston Public Works Department (BPWD) in establishing climate-resilient design standards and guidelines, as part of the City of Boston’s efforts to proactively prepare for the future, and to embark on a major investment in resilience planning. Mayor Marty Walsh announced the release of the City of Boston Climate Resilient Design Standards and Guidelines for Protection of Public Rights-of-Way during #GBCC2018. "We're not just planning for the next storm we'll face, we're planning for the storms the next generation will face. A resilient, climate-ready Boston Harbor presents an opportunity to protect Boston, connect Boston, and enhance Boston, now and for the future. As we enter a new era in our Harbor's history, Boston can show the world that resilience is not only the ability to survive adversity, but to emerge even stronger than before. That's the promise of a Resilient Boston." 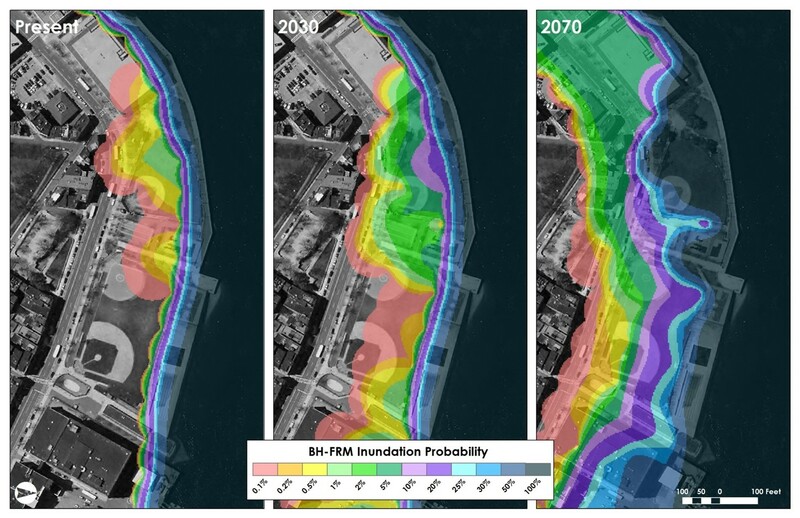 Establishing resilience design guidelines for discrete priority projects and for segmental adaptation projects to achieve approximately four feet of flood protection by 2070, with the option to add an additional two feet of protection in the future. Translating the Climate Ready Boston concepts into feasible engineering and operational solutions that focus on protecting public rights-of-way from flooding due to tidal and storm surge events. 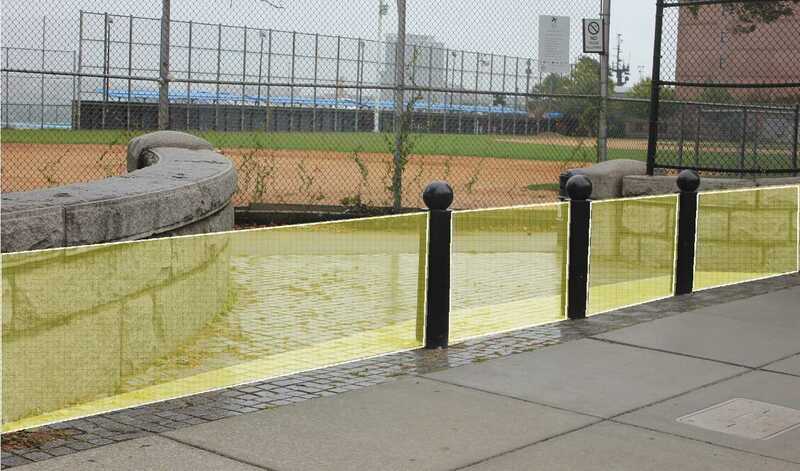 Providing a menu of sample flood protection options with engineering design considerations, preliminary cost estimates, as well as operations and maintenance guidance. 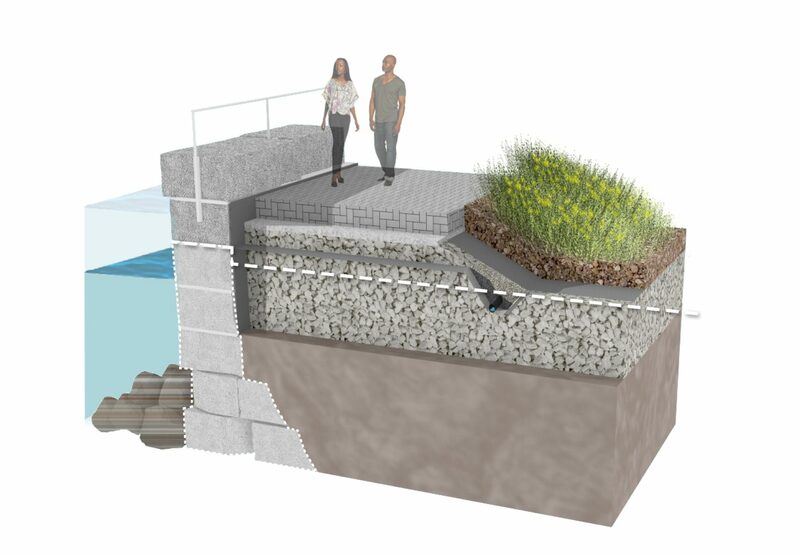 Weston & Sampson’s interdisciplinary team provided a process to design effective flood protection that embraces flexibility, incremental adaptation, redundancies, and stormwater management. Together with BPWD, Boston Environment Department, and Boston Planning & Development Agency, we developed sample specifications, drawings, design, operations, maintenance, and cost considerations for four barrier options: 1) harborwalk barriers, 2) raised roadway barriers, 3) deployable flood barriers, and 4) vegetated berms. A technical advisory group (TAG) comprised of other city departments, state agencies, utilities, and local and international consultants provided valuable review and feedback. The guidelines are organized to intuitively lead users through the process of advancing a conceptual flood barrier for projected climate conditions by evaluating applicable design considerations, operation and maintenance procedures, and related costs. Engineers and other design professional can use these considerations to augment the existing standard of care provided for projects, understand technical challenges associated with barriers, and identify opportunities to create value wherever feasible. Weston & Sampson is currently applying these resiliency design standards at Langone Park and Puopolo Playground in Boston. Through this initiative, Weston & Sampson is assisting the City of Boston lay the groundwork for advancing flood protection projects with the knowledge that both urban development and climate change will continue to transform the waterfront over time. An online living document, these guidelines will be updated with new information as climate projections are revised and projects are implemented. 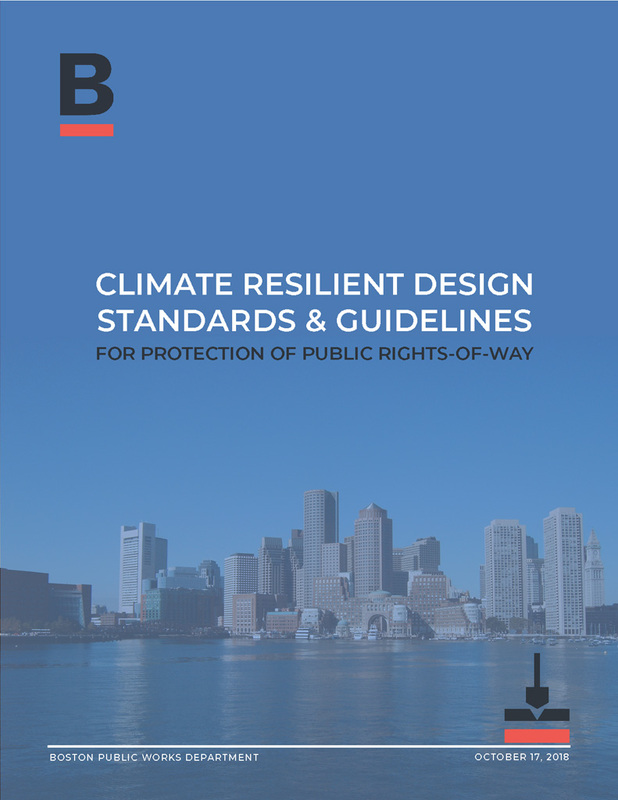 To learn more about the City of Boston’s plans for building a more resilient and sustainable city, see the executive summary and the 2018 Climate Resilient Design Standards & Guidelines for Protection of Public Rights-Of-Way. Posted in Newsletter and tagged Climate Resilient Design, newsletter.